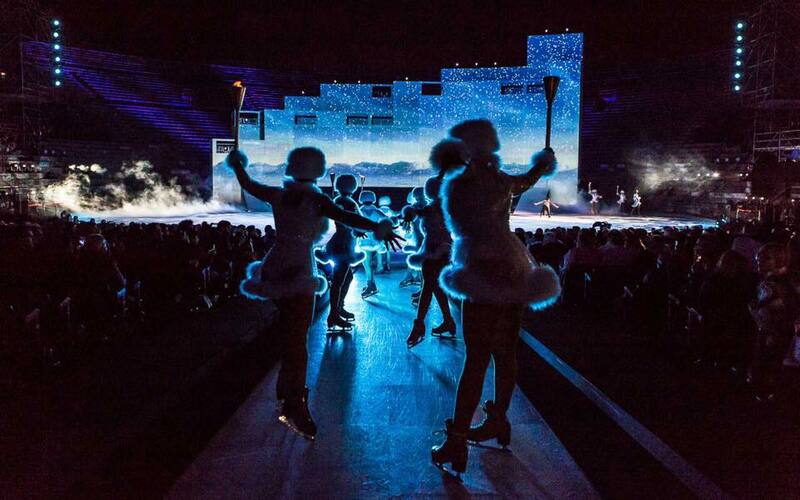 Intimissimi On Ice has returned with “One Amazing Day”, the 3rd edition of the unique ice show where opera, pop music, figure skating and fashion merge in the magical setting of Arena di Verona. 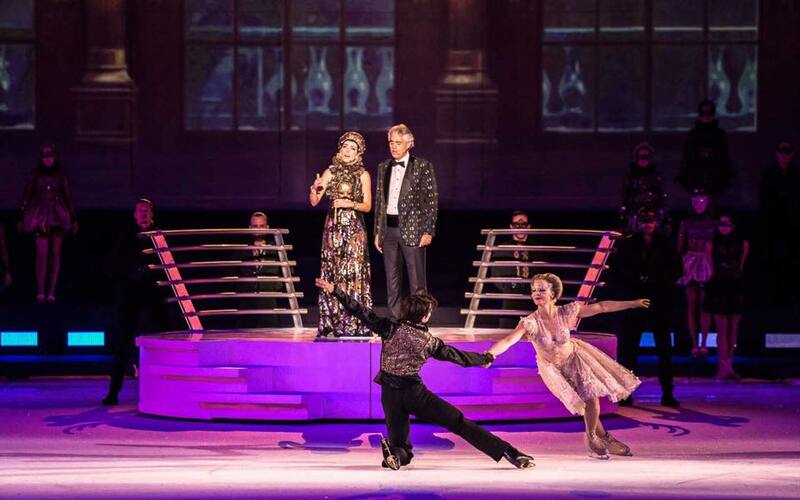 As always the main characters were played by the finest figure skating champions of several Olympics, Carolina Kostner, Stéphane Lambiel and, for the first time, Evgeni Plushenko and Kiira Korpi. 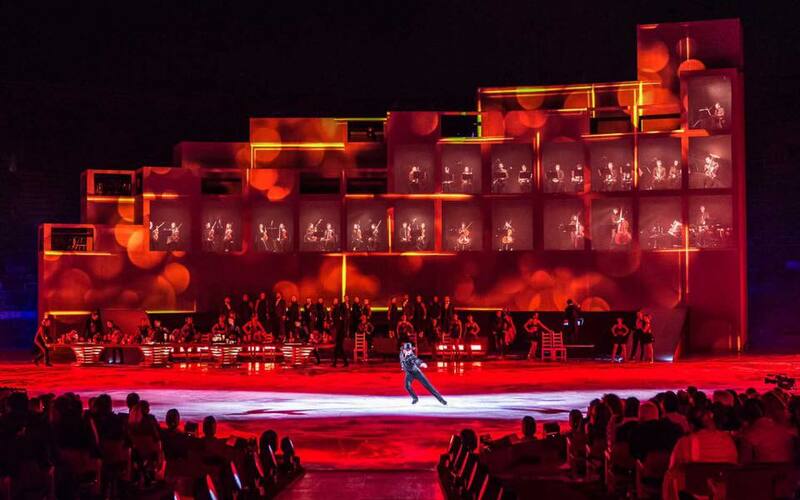 The show was directed by Kim Gavin, winner of BATFA and Brit Award, director of London 2012 Olympic and Paralympic Ceremonies. The costumes in 2016 were made by super-talented Milena Canonero, the winner of 4 Oscars and of several awards around the world. 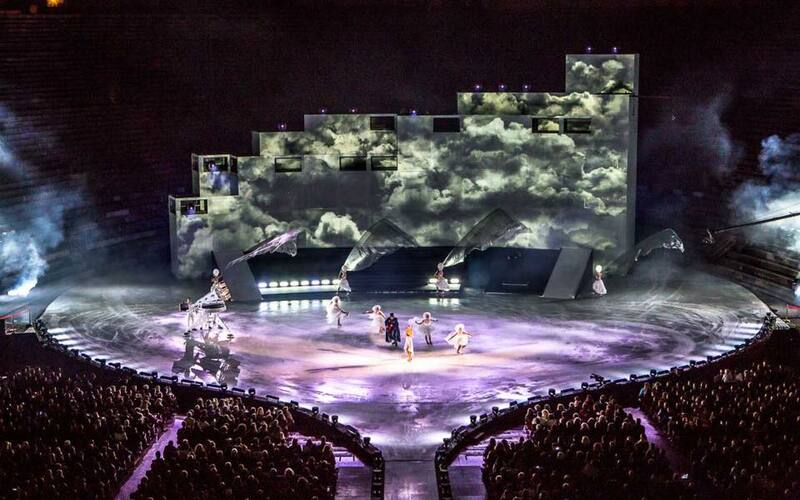 The live performance of Andrea Bocelli was blended into the show, and gave an unforgettable evening to an enchanted passionate audience .